Shanghai Yuhao Crafts Co., Ltd. Custom Design Silk Printed Satin Pouch With Drawstring For Jewelry Material Satin Size Customized Printing Silk printing Logo Customized Color Various colors for choose Application Packing Gift , jewelry, cosmetic. MOQ 2000pcs (negotiable) Price Price Depends On Material , Quantity, Size And Logo. They all can be any size, any color, any shape with three main materials. You can give us you design to produce the products you want. We may have a long and happy cooperation with you if you trust us. There are many fashionable styles for your choice, and we can make it as y your special requirement. 3)To reduce cost and save money for our clients,we always build long term business with our clients. 5) We warmly welcome our customers come to visit our factory anytime. Shenzhen K.Chunyuan Packaging Co., Ltd.
we can make layout of the bags first, after customers confirmed the layout, then we begin make samples. Q. Print or embroidery logo--Make sure logo size, position, color are the same as confirmed. Supervise and take photos when loading for making sure goods safe and correct. 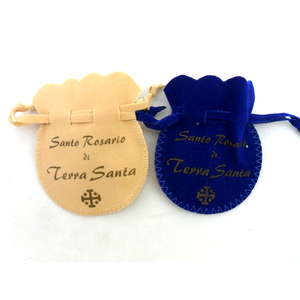 B: Style, custom draw cords matt satin silk pouch for jewelry, gift, shopping and promotion packaging. F: Application, widely used in jewelry wrap, cosmetics pack, gift packing, shopping and promotion. 5. Applied widely in jewelry packing, gift packing, cosmetics packaging, business promotion. is a professional manufacturer of various kinds of package bags, cords, ribbons, tassels, satin bows and other gift package accessories. Q: Can you design the product according to my requirement9 A: Yes,we can do what you need base on your specifications. Q: How long about the bulk production lead time9 A: 10-15 days in normal, depends on quantity as well as production schedule. 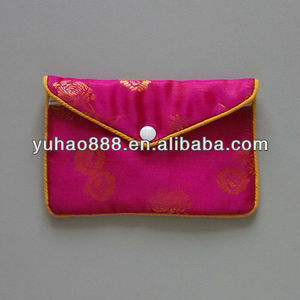 Alibaba.com offers 12,667 silk jewelry pouch products. About 37% of these are gift bags, 14% are packaging bags, and 11% are jewelry packaging & display. 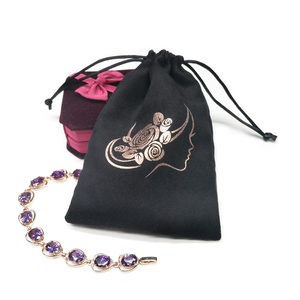 A wide variety of silk jewelry pouch options are available to you, such as free samples, paid samples. 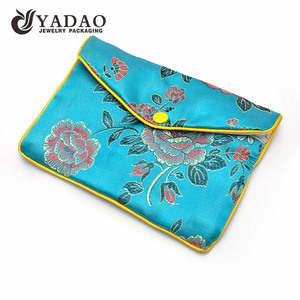 There are 12,655 silk jewelry pouch suppliers, mainly located in Asia. The top supplying countries are China (Mainland), India, and Pakistan, which supply 99%, 1%, and 1% of silk jewelry pouch respectively. 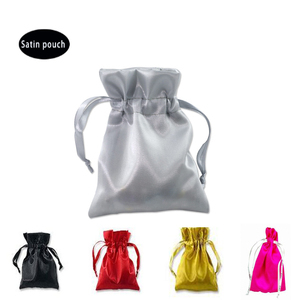 Silk jewelry pouch products are most popular in North America, South America, and Western Europe. You can ensure product safety by selecting from certified suppliers, including 993 with Other, 645 with ISO9001, and 87 with ISO14001 certification.